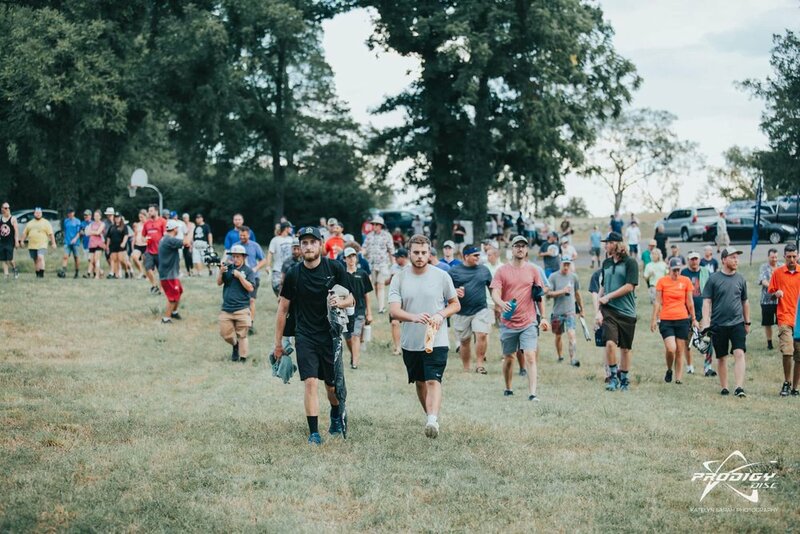 Nashville is a booming city, off the course, so it is no surprise 345 competitors flocked to the Tennessee capital for The Music City Open. Among those playing were 60 Open Men and atop them stood Chris Dickerson once again. Dickerson outlasted the competition in the Southern heat and humidity in extra holes for his fifth A-Tier win—his second in a row—and 21st overall on the season. A grueling final round on the Ravenwood temporary course wasn't enough as it took six more holes to crown a champion. After pushing the first five holes, Dickerson unleashed a monstrous drive on the par-5 sixth and parked his second shot for a tap-in eagle, which finally proved enough. He totaled a 27-under par 156 over the weekend, which included a 1059-rated round two. Cameron Colglazier was hot on his heels and finished one stroke out of the playoff. Colglazier was four strokes off the pace after round one but his 1068-rated course record in round two rocketed him up the leaderboard. He got within a throw of Dickerson, and that’s where things stood at the finish. Matt Orum and Jacob Henson made their moves in the third and final round after tough second rounds. Orum tossed a 1055-rated round to finish fifth with a 22-under par 161. Tied with Orum going in, Henson’s 1047-rated effort put him a stroke behind in a tie for sixth. Vinnie Miller also had a strong showing, finishing second in Pro Masters 50+. Protege Harper Thompson, a Nashville-area native, did not disappoint with home field advantage. The 14-year-old standout was in a tie for first after round one and kept the lead all to himself from there. He impressed with a 1002-rated second round on the way to racking up a 9-under par 174 to go wire-to-wire and win by four. With his teammates making a splash down south, Cale Leiviska was dominant up north. Leiviska torched the second round of the Lake Superior Open in Superior, Wisc., with a 1077-rated showing. Vaino Makela being interviewed after winning the Prodigy Pro Tour in Turku, Finland. That scorching round propelled him ahead of the pack and he finished with a 24-under par 152. The six-stroke margin secured his first A-Tier win of the season. Ben Kroll finished fourth with a 12-under par 164 and Mitch Privette finished ninth with a 6-under par 170. 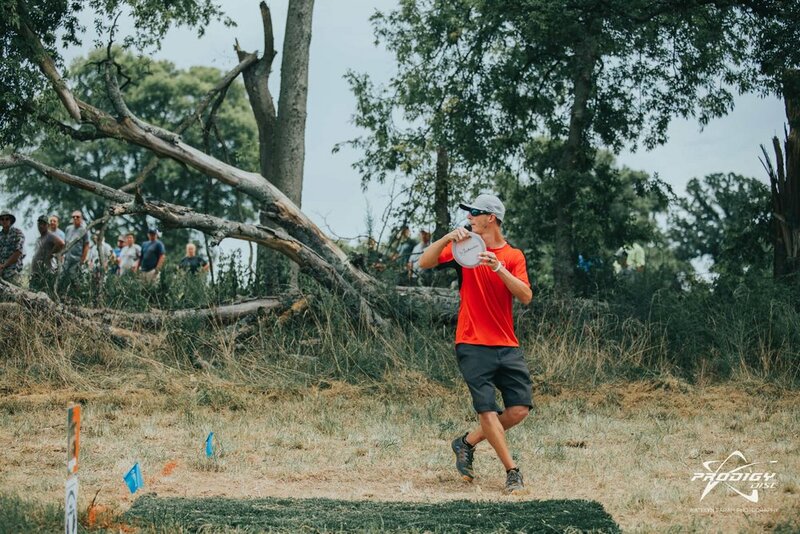 Winning A-Tiers wasn’t exclusive to those stateside as Vaino Makela topped the podium at the Prodigy Disc Pro Tour - Turku in Finland. 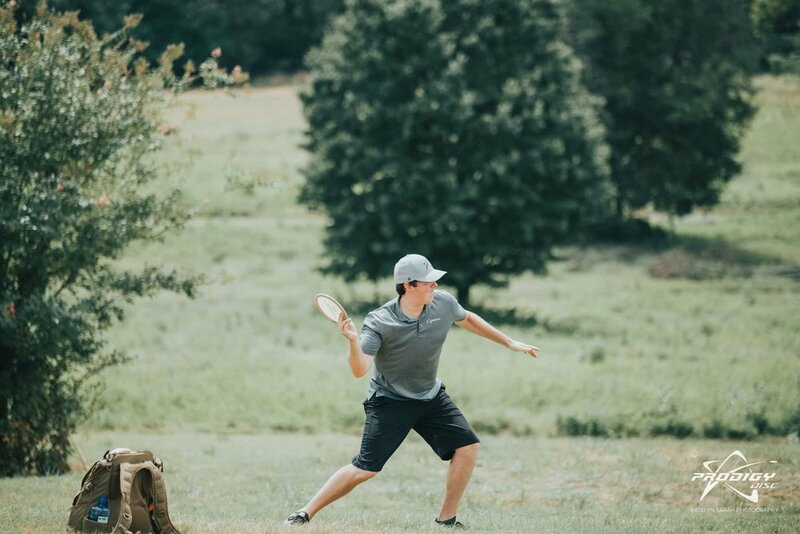 Makela continued the trend by laying down a 1075-rated second round in which he had three eagles to set the course record. Makela kept it rolling with a solid third round to win by six. He totaled a 22-under par 197 for the event. Seppo Paju carded a 15-under par 174 and finished in a tie for third. It continues to be a year of firsts for junior competitors. 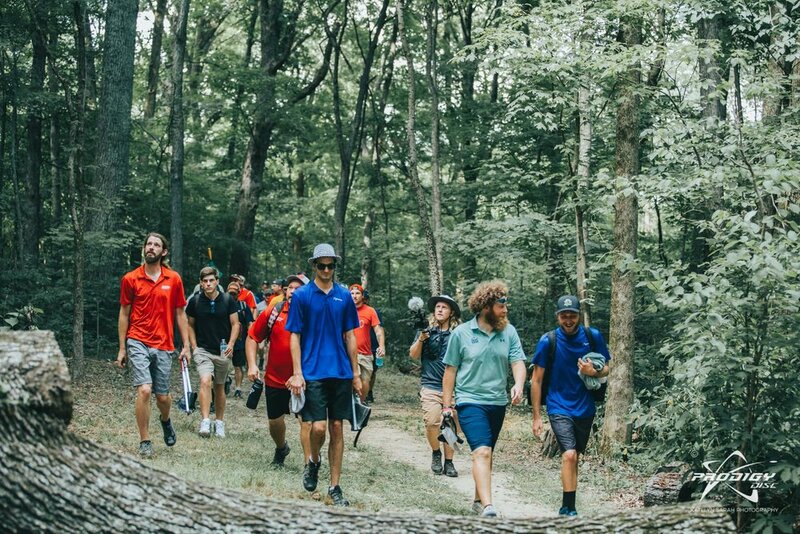 In July, they got their own World Championships for the first time, and last weekend marked the inaugural United States Junior Disc Golf Championships in Jeffersonville, Vt., at the famed Smuggler’s Notch Resort. 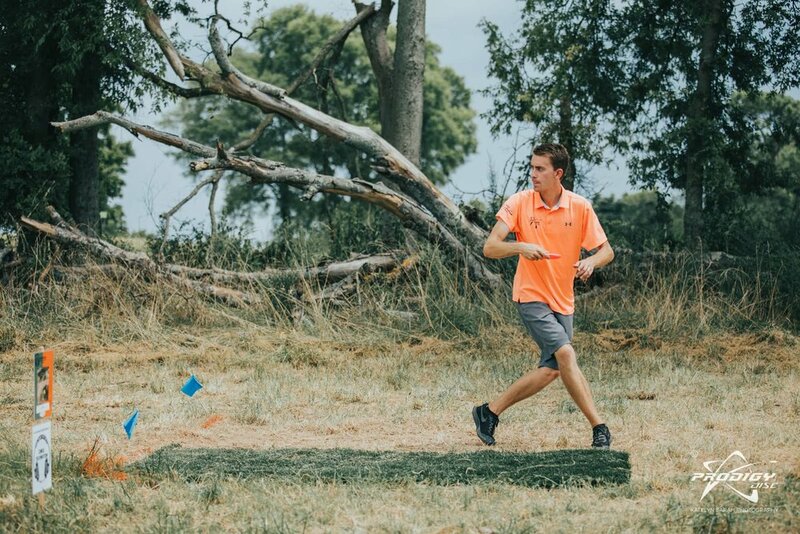 Street Team member Alden Harris was among those warming up the courses for the Professional World Championships next month. Harris competed in the Junior <18 Division and won in a comeback. He tied for the hot score in the first round but was down by four heading into Sunday’s final. He closed out his 1-over par 148 winning total with a 1006-rated third round. Paul Ulibarri took second at the Land of Enchantment Open II in Santa Fe, N.M.,with a 23-under par 182. He tied with Daniel Sweet for the hot score in the final round to jump up into the runner-up spot. Robert Huizar finished 10th in Pro Masters 40+. Delany Thomas took home the Advanced win at the Hillside Summer Throwdown. Thomas posted a 7-under par 166 to win the Wilkesboro, N.C., event by five. Noah Higgins also got an Advanced win at the 2018 Lost Egg in Wayne, Alberta, Canada. Higgins had an impressive 1009-rated second round and didn’t slow down much in the third round. 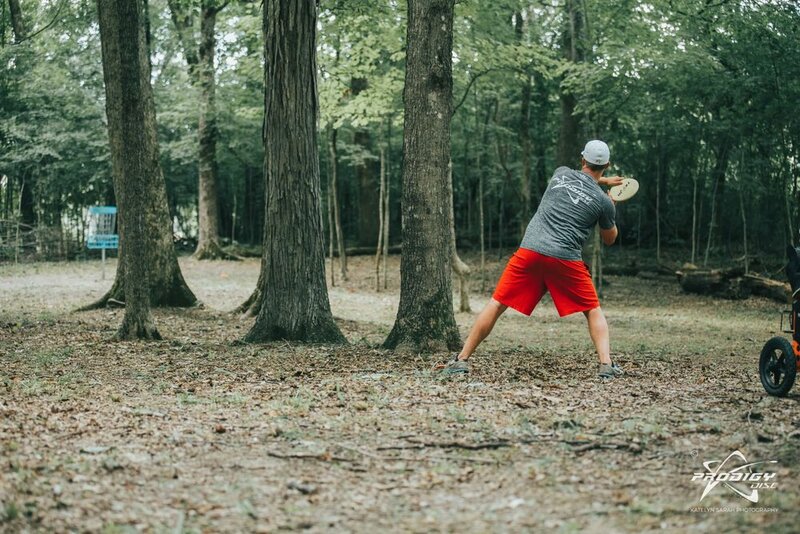 He totaled a 22-under par 149 and won by 13 throws. 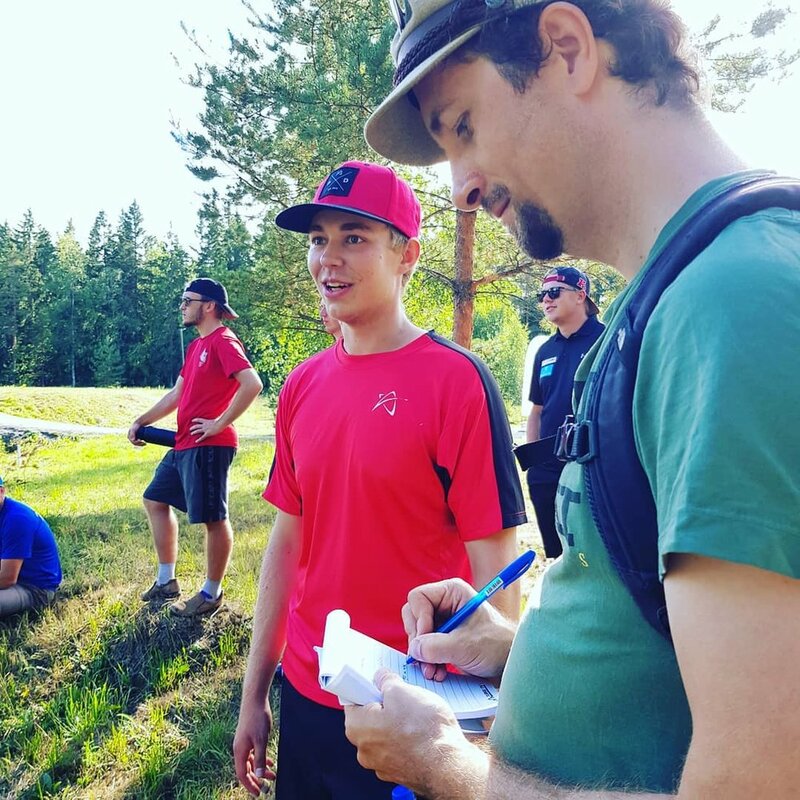 In unsanctioned action, Cooper Legee won the Maine Disc Golf Tour Stop at Ackers Acres. It’s his third win on the tour in a row. Logan Weiss added a win in New Orleans Doubles with his partner.